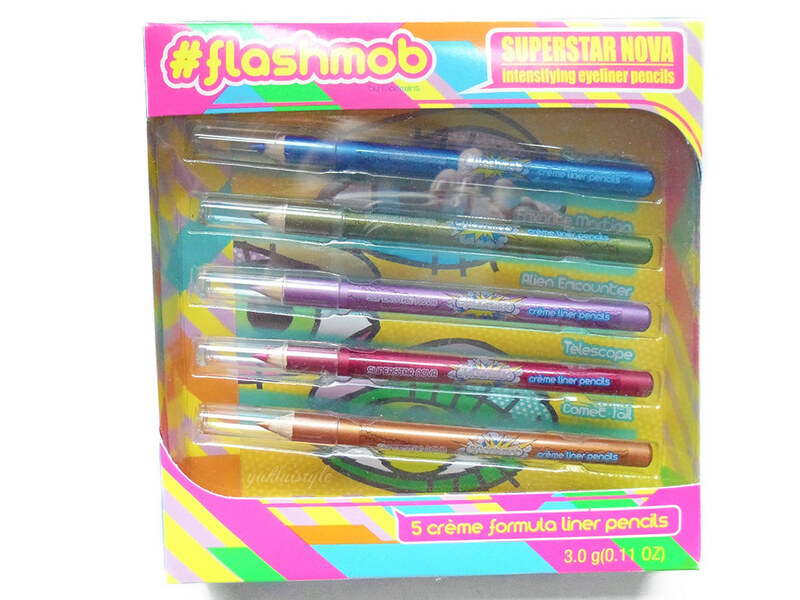 In this metallic eyeliner set, you get 5 colours: gold, pink, purple, green and blue. The gold looks more copper however it doesn’t deter me from trying it. Copper is a lovely shade. Lilac isn’t as pigmented as I had thought. It’s more subtle. 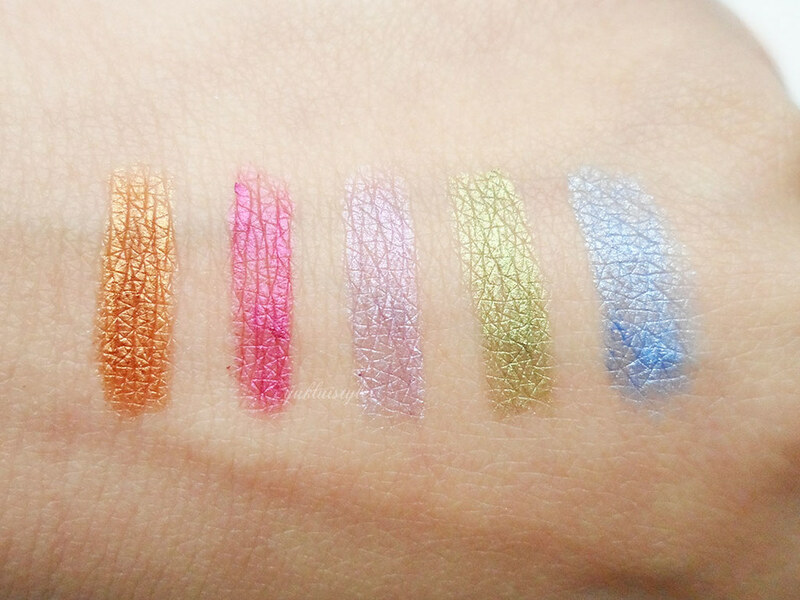 Swatched on the hands, the colours are beautiful however when used on the eyes, I didn’t find the pigmentation on the same level. I had to swipe plenty of times and add a little bit of pressure to make these visible on my eyes. They are soft and doesn’t tug the skin however the colour payoff on the eyes isn’t impressive which is unfortunate. The outer corner of the lash line was stubborn and the eyeliner didn’t last long there. If you rub your eyes, they will rub off, leaving you with a shimmery eye area. They didn’t last long on my oily lids and water eyes. I could use the gold as an all over base eyeshadow shade over eyelid primer. Then eyeshadow on top would help set it. I would also use this set to draw on my face to festivals instead. If you have oily eyelids or your eyes get watery easily, I wouldn’t recommend these. Pencil eyeliners as a whole are something I struggle with and doesn’t work on me. 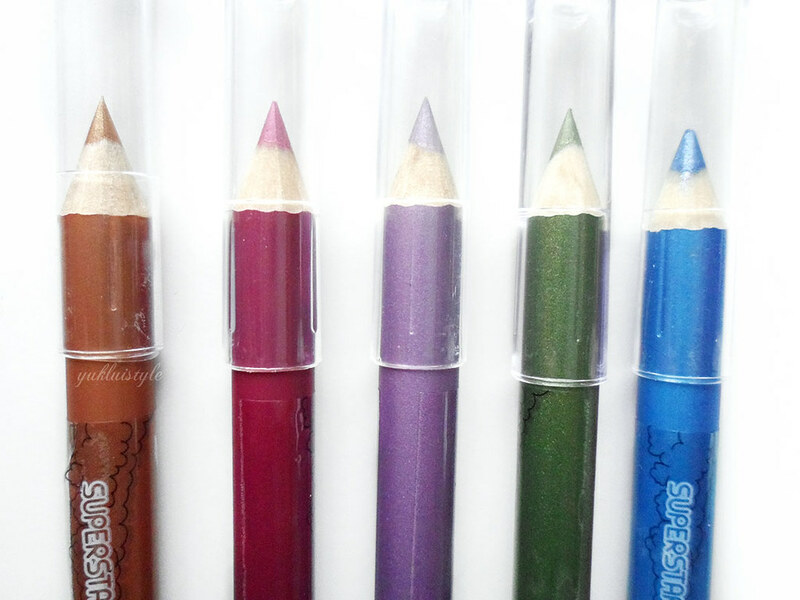 If pencils are your thing or you’re looking for something that is short term or want something you can use for fun elsewhere on the face, these would be your best bet. Are you loving colour on the eyes? Nice shades and this one eye liner that my nieces should try. 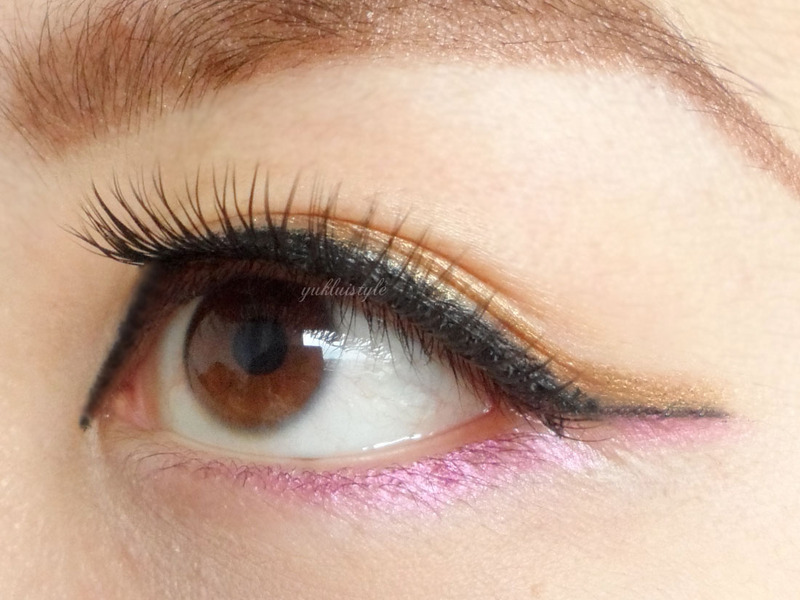 The colours look fab but am not a fan of eyeliners that you really need to apply pressure to, they should just glide. Tend to only stick to black these days but those colours are very funky! These look really good on the swatches you have on the back of your hand! Such a shame they aren't as pigmented on the eyes. 🙁 I personally have very oily lids and have stopped using pencil liners (I enjoy liquid and gel liners now), so I guess I'll give these a pass. My wife does not use eye liners so I am not familiar with these things. But I can imagine these are more for drama during evening events. These shades are gorgeous. They look so beautiful. I totally think I need to try these. Oh..this is for ladies and lots of women used it. But this one have different colors. I'll recommend this to my brother's wife – she loves to apply these colors. It's been a while since I've played with makeup. These have really nice colors! I'm just not sure it fits me, though. It may have, back in the days when I was a whole lot bolder with fashion. For a moment, I thought it was the news where teens are using water colour pencils to do their eyeliner! It was so dangerous. I'm glad this is a normal one! pencils and crayons or even liquid liners don't work for me 🙁 my eyelids are too oily! these might be good perhaps for a short, day event at most? or, i agree, good for drawing on face! They all look so cute! However, if it doesn't last long on you (being someone who has an oily eyelid) then I don't think it would last long with me too. But I guess it's worth having. You just have to re-apply all the time. I totally love the colours but somehow always just stick to black and brown. Are these pencils soft enough as some of them i find bit dryish and i dont experiment near my eyes. It looks good on you. Fun and colorful. It is such a shame it does not last long for oily skin. Maybe they should make a variant for that. They have nice shade. I guess they should try to make it smudge proof so it will be better. Looks amazingly beautiful on the eye! I'm sure ladies are gonna love something like this. 🙂 Is this available in the Phils? My friends, might want to buy em. I like blue and pink eyeliners. It always opened up the eyes. For daily usage I will go for black or brown.